For the native tribes of North America, the deer was a messenger, an animal of power, and a totem representing sensitivity, intuition and gentleness. In Buddhism, the deer symbolises harmony, happiness, peace and longevity, trust and kindness. 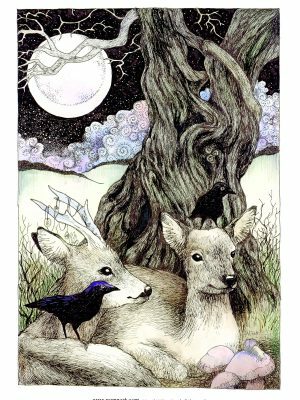 In Celtic symbolism Deer is significant in both male and female, the Hind can access the fairy world and teaches us about love and kindness. 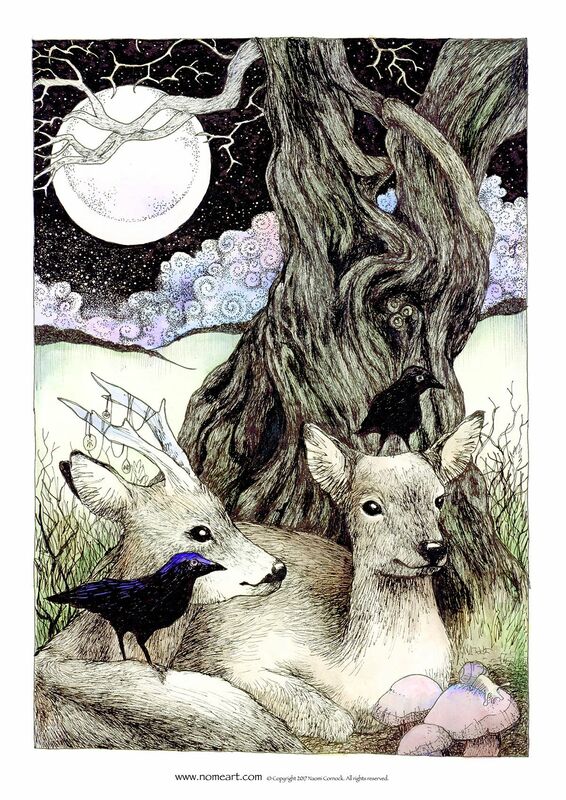 The Stag is king of the forest and he protects all creatures therein.